Shopping for commercial ice machines comes with a myriad of challenges. With so many unique styles on the market, it can be hard to know which one is best for your unique needs. 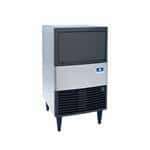 A commercial under-counter ice maker is generally the most recommended choice for space-saving applications. If your countertop space is valuable, these ice makers move the machine from your prep and service area to beneath the counter, effectively preserving your essential workspace. In other words, these units allow you to produce large volumes of fresh ice for drinks, food preservation and more, even in tiny commercial kitchens. 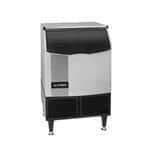 CKitchen offers the best under-counter ice makers for your space. With machines by Hoshizaki, Manitowoc and Scotsman, we’re your best resource for a top-quality commercial-grade ice maker. Under-counter styles by these makers are equipped with energy efficiency and convenience features that help keep your commercial kitchen running like a well-oiled machine. What’s more, you can tailor your machine to your unique needs with various types of ice. It doesn’t matter if you’re looking for commercial under-counter nugget ice machines or half-dice ice machines, you’ll find what you’re looking for in our selection. Other styles are Energy Star certified to help keep your utilities under budget. Additionally, these units are often smaller and more affordable than larger free-standing styles, so they may be a good choice for anyone looking for heavy-duty under-counter ice makers for home use. Just like other types of ice machines, under-counter styles come in both air-cooled and water-cooled options. While air-cooled under-counter ice makers are the most common and the most efficient, there may be some scenarios where a water-cooled under-counter ice maker would serve you best. CKitchen is always available to help you discern which style is best-suited to your specific applications.